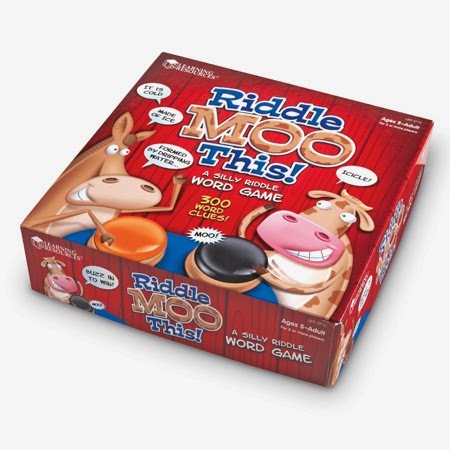 Riddle Moo This is a silly riddle word game for children age 5 and up. Each player gets a buzzer, each making a different animal sound. 4 players get to via for points by guessing the riddle on the card. There are three hints on each card. The reader reads one hint at a time as the children are poised over their buzzer. First to buzz in gets a chance to answer the riddle. If they miss you see if anyone else wants to guess. Then you go through the three hints until someone guesses it. If you guess the riddle correctly you win the card. First player to 10 cards wins. Getting the buzzers to go in turns was a little tough for my guys. They wanted to jump right in with their answer instead of waiting for the buzzer and being called on. 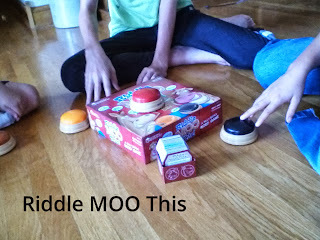 It took a little bit of work but we learned to first press the buzzer and wait to be called on to answer. This game works best with similar aged children. 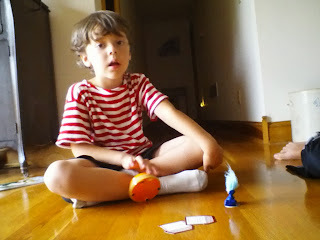 Mine played with a teen and of course he was able to answer the questions much quicker than the 5 year old. I read the questions for all of them so that they had equal opportunity to answer. 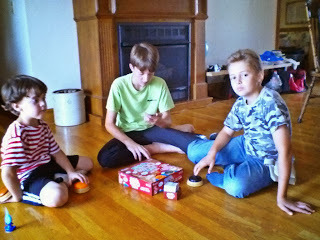 The animal sounds are fun, and the kids tend to play with the buzzers even when the game is long done. Enter to win Riddle Moo This! NOTE: If you have won a Learning Resources giveaway on ANY BLOG during the past 6 months, you are ineligible to win this giveaway! Once 6 months have passed, you can enter again. Thanks! 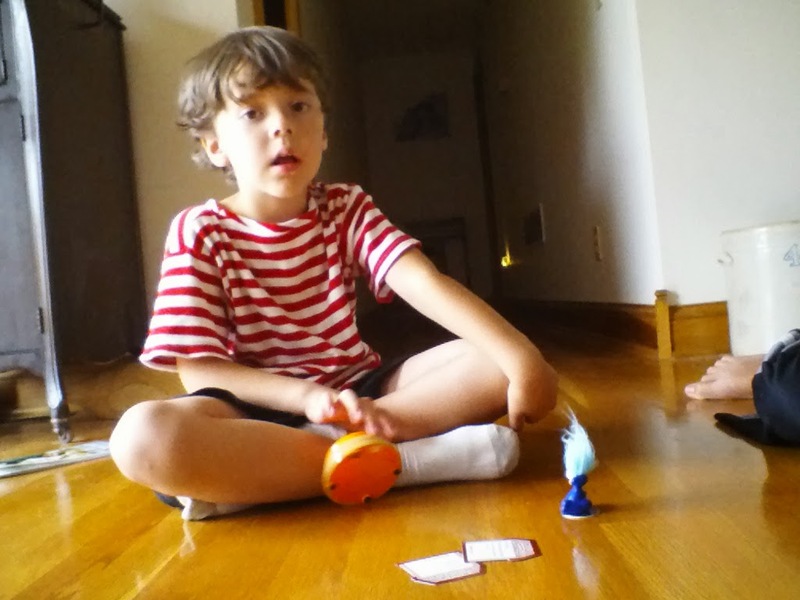 There are several games I think my grandkids would enjoy. Buy it Right would come in handy right now as a fun, teaching tool. Cooking up Sentences™ Parts of Speech Game is a game I would also love to have. I would love to have the Spill Your Guts™ Human Body Game!!! I love anything to do with Anatomy! I would like to get my son the Pop for Sights Words™ Games Bundle! I'd love the Count & Seek Pet House™ Game as well! I think we'd have a lot of fun with Blurt!